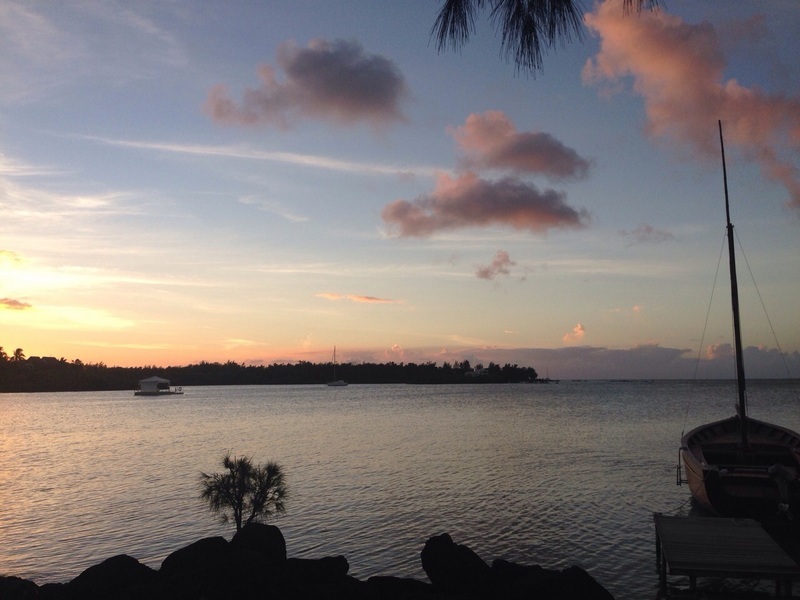 Following on from my post about all the things I ate in Mauritius (sounds like a riveting read right? If you missed it, you can check it out HERE) I thought I’d expand more on the glorious hotel we stayed in: The Lux* Grand Gaube. It really was a total dream and easily the best hotel I’ve ever stayed in. I mentioned that on arrival we headed straight to our rooms, no arduous check-in required. We peeled our stinky, sweaty airport clothing off and changed into Mauritius/holiday appropriate attire before heading back to the lobby for a quick tour of the hotel & it’s facilities. The Lux* Grand Gaube is a 5-star hotel and when I say five star I mean it, this place gets ten out of ten almost across the board. I’ve stayed in a few hotels over the years that boast 5-star and are anything but. For instance, there was one hotel Malta that I assume gave a star for every bed they left in your room – we had 5 in total, two doubles and one single dotted about the place which was all very strange! The Lux* however can proudly back-up each of their stars as nothing has been done without thought. The grounds of the hotel are the first thing you notice about the place (well duh!) and they’re stunning. Manicured lawns, tropical palm trees, hammocks hanging in the trees, a gorgeous lobby & reception and idyllic beach & pool areas. 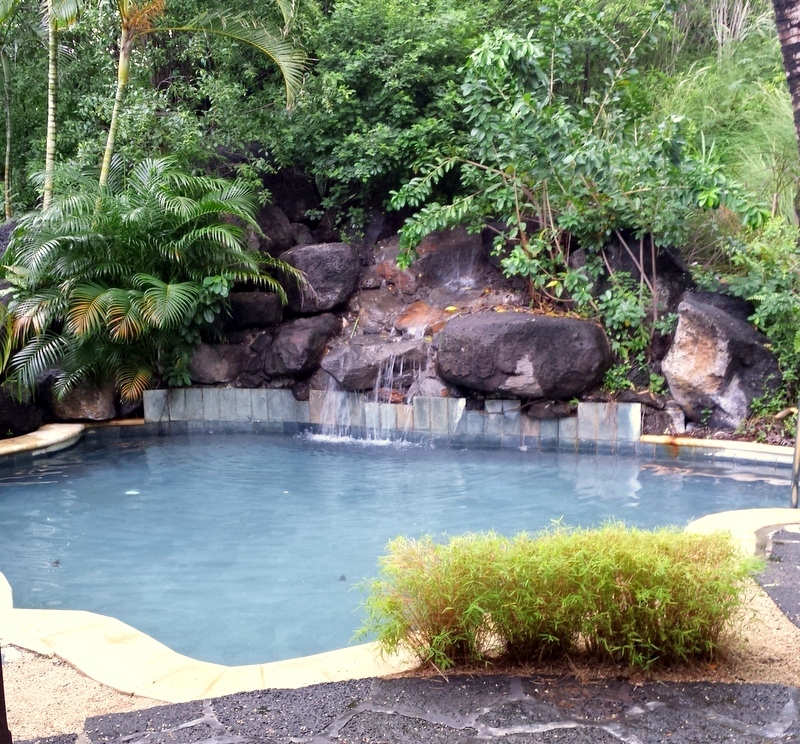 There are two beaches & two pools to choose from. The main pool sits under the main buffet/Kitchen restaurant and is for all hotel guests. 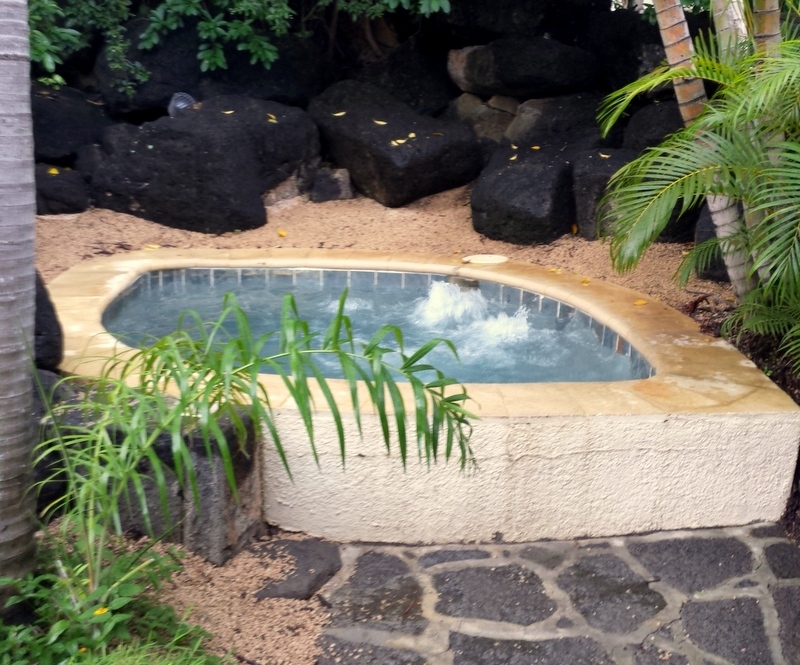 The pool round by the Banyan Tree restaurant is only for Adults. In our experience the loungers on the main beach were all reserved by 8am most mornings. As always this is a mild irritation of hotel guests but it seemed to us that one of the guys working for the hotel was actually reserving the loungers for guests. It feels like such a petty annoyance but I don’t understand people who simply have to have the same lounger in the same spot everyday. As a result we tended to sunbathe on the other beach near the adults pool. There was little difference in beaches except perhaps the waiters are slightly more attentive on the main beach. And girl gotta love a cocktail in hand 24/7. That said…sadly the cocktails weren’t quite as good as I hoped. The mojitos are distinctly lacking in crushed ice and the daquiris aren’t frozen slushy, cooling sips of heaven but then it was over 30 degrees so maybe we can chalk these issues up to the weather?! Despite being impressed by the comfy loungers, the fluffy clean beach towels and the man on hand to remove sun-cream marks from your sunnies we weren’t overly impressed by the beach itself. 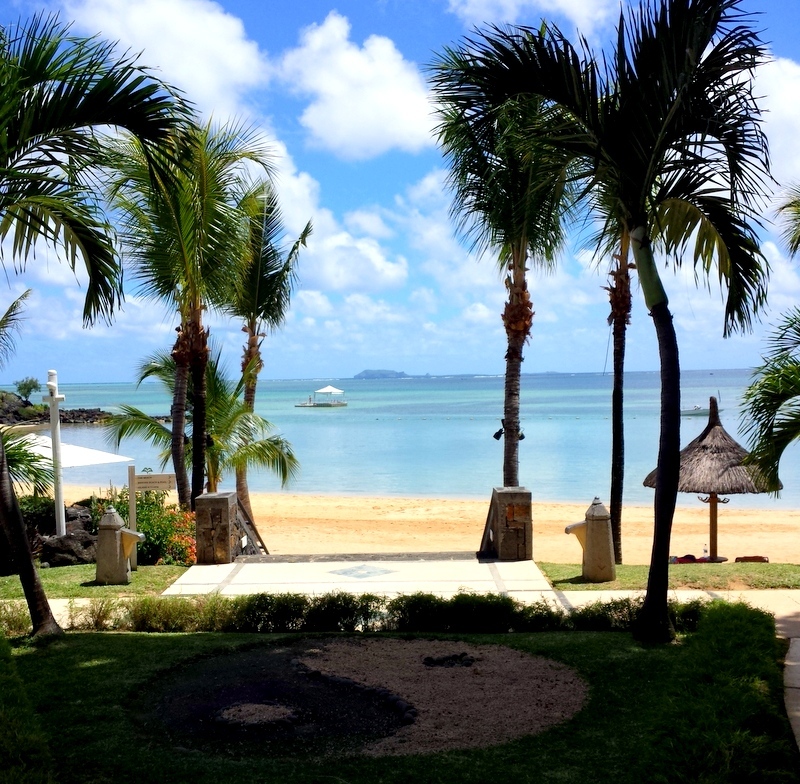 When you think of Mauritius there’s an expectation that it’s white, soft, fine grains of sand and the sea-water is crystal clear, sadly this isn’t the case at the Lux* Grand Gaube. The sand is a little clay-like, it almost feels man-made (I lived on the Palm in Dubai so have a good idea of what artificial sand feels like) it’s just not the soft, white beach you would assume. And the water, being part of a lagoon as opposed to the open sea is very shallow and cloudy. It was a little unsatisfying when you’re expecting those pure white beaches and blue waters you’ve heard so much about. It also means snorkelling was impossible in the immediate bay area and this was a huge disappointment for us as we love a good snorkel…luckily the Lux* have a solution for this! Twice daily, courtesy of the Lux* you can hop on a boat out to the reef if you want to get your snorkel on. They provide flippers, masks and the snorkels too! You can either go in the morning (around 10am) or later in the afternoon, (around 3pm). 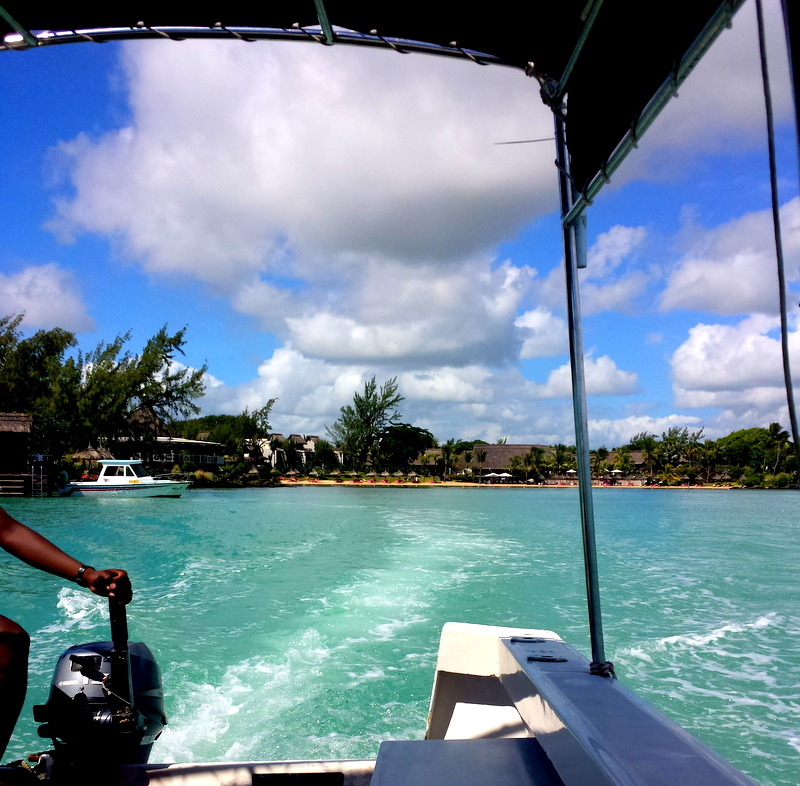 You collect your equipment from the water-sports centre before meeting the boat at the jetty where you head out on a 10minutes across the lagoon to the reef. You’re then left to explore the underwater for around 30minutes and see how many different varieties of fish you can spot. I’m sure it’s amazing experience…when the waters clear. Sadly when we went out, visibility was poor and the sea was quite rough which made swimming difficult. My snorkel kept filling up with water and our boat driver put the fear of god into me when he told us not to swim over the dark patch in the sea. I mean how was I to know the ‘dark patch’ was only dead coral and not where all the sharks and man-eating fish lived. It made for a very panicky swim every time I *thought* I was anywhere near it – when really there was nothing to fear. Silly Harry! Aside from the snorkelling there are LOADS of other water-activities you can indulge in. 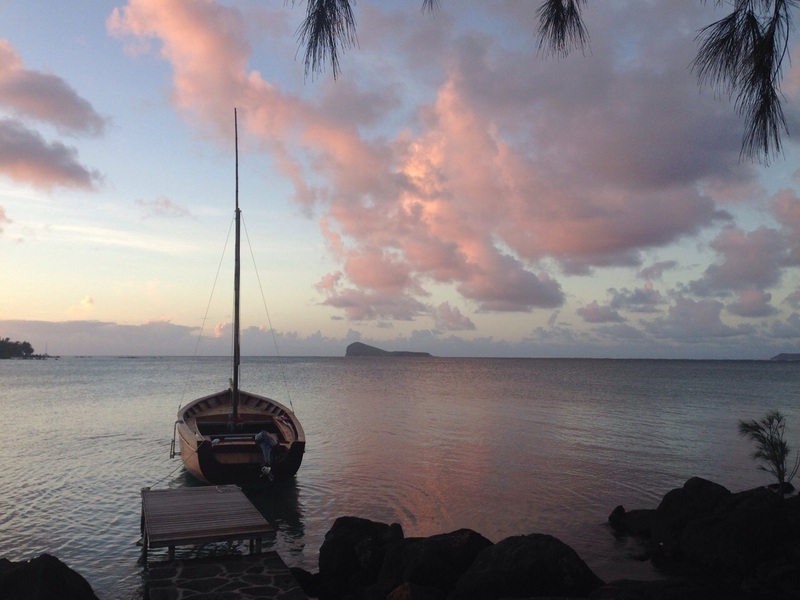 The water-sports-centre is located on the main beach and with everything provided for free, yuhuh, F R E E, all you needed to do is book in and then you can go water skiing, paddle boarding, sailing, kayaking and more. It’s only scuba diving & the day trips out on the catamaran to secluded islands that cost extra and these could easily be booked a day in advance. Most days, around 4pm in the afternoon the staff would hoist up a Volley Ball net on the main beach where everyone & anyone could join in. I chose to watch from a distance (after nearly getting smashed in the face one day as I sat reading my book – The Goldfinch, in case you’re wondering which I found really long and pretty boring, apologies if I’m missing the hype?) but it looked like a lot of fun, if you’re keen. 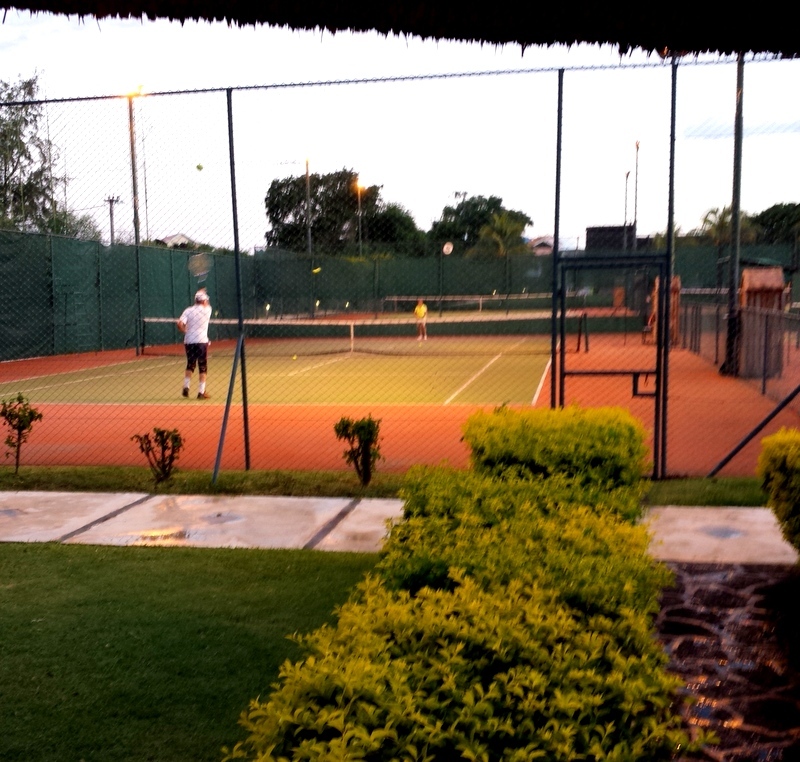 Something I did join in on were the free use of the tennis courts. 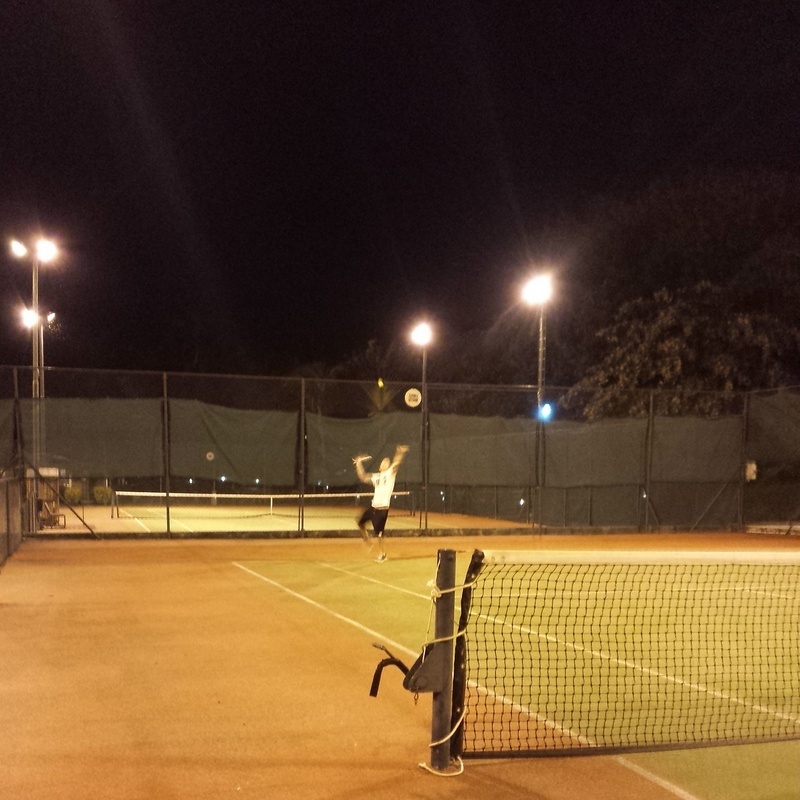 Once the sun had started set and things had cooled down considerably my boyfriend and I booked a court, grabbed some rackets and balls (both provided by the Lux*) and had a little rally. I say rally…most of the time I was legging it from one side of the court to the other swiping wildly at thin air as the tennis ball shot past my head. Serena Williams I am not. BUT it was a lot of fun and the fact it was free meant I gave it a try, something I probably wouldn’t have done if we’d had to pay to use the courts or hire the rackets. The tennis courts were located next to gym and wellbeing centre. 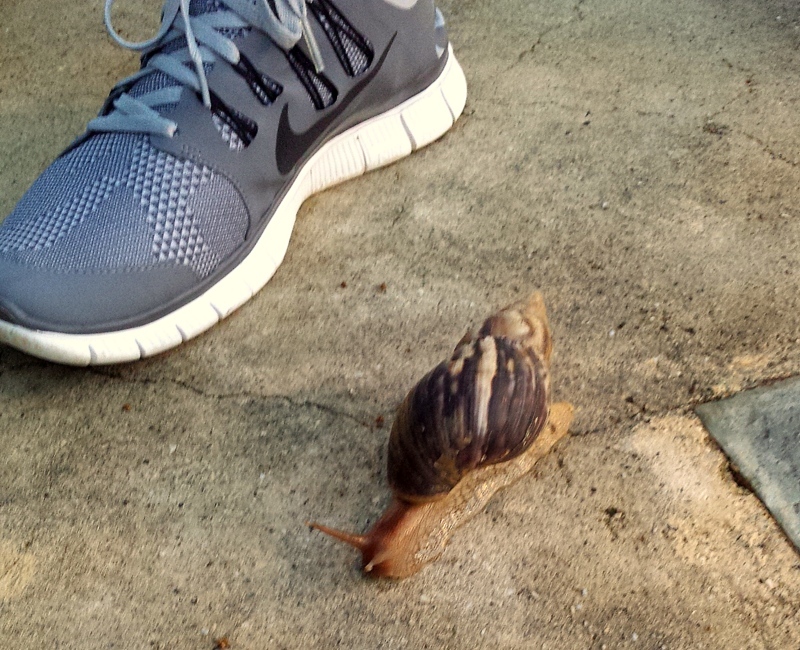 I had some big ideas about going to the gym every day, especially as I wasn’t doing much else, I thought – why not? I’ll leave it to you to guess how many times I actually went! ^^^the same size as his fooooot! It was a surprise bonus of the hotel that there was so much interesting wildlife to spot. 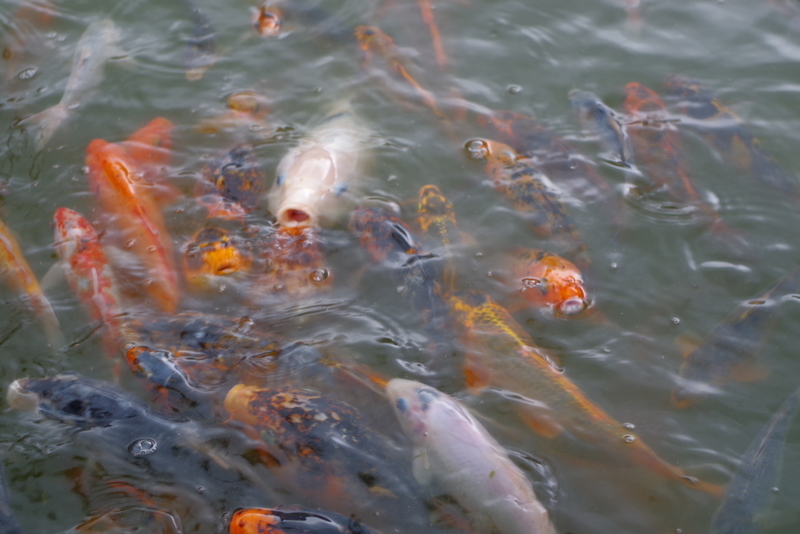 I never thought I’d be so intrigued by it all; from the snails to the HUGE crabs, the frogs and hundreds of fish. I became something of a David Attenborough, always on the lookout for something. 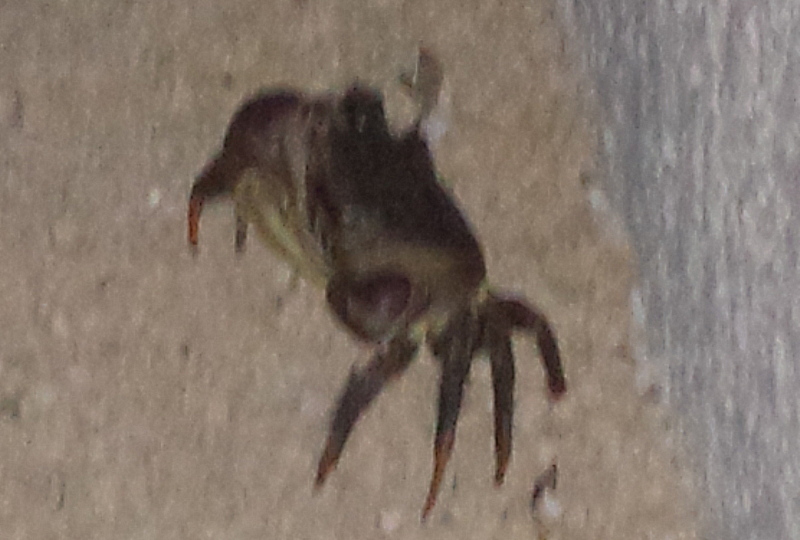 Excuse the blurry photo but this guy was hiding outside our hotel room one night and I swear he’s at least the size of my hand! 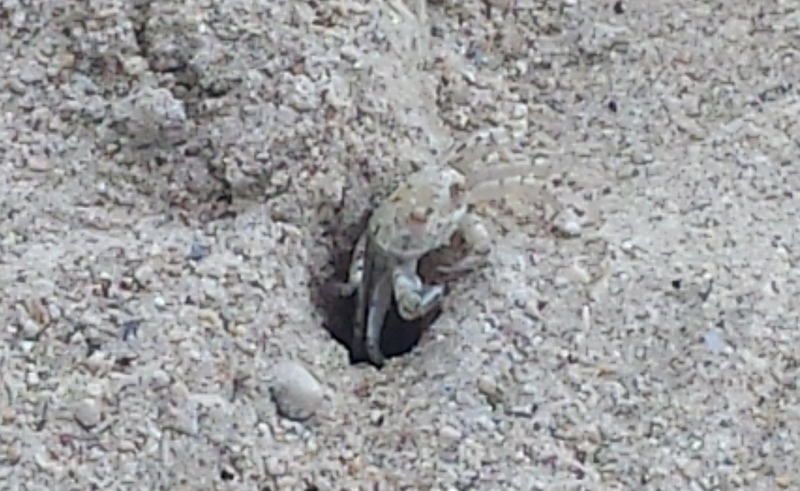 Then there were these ^^^ guys hiding all over the beach! 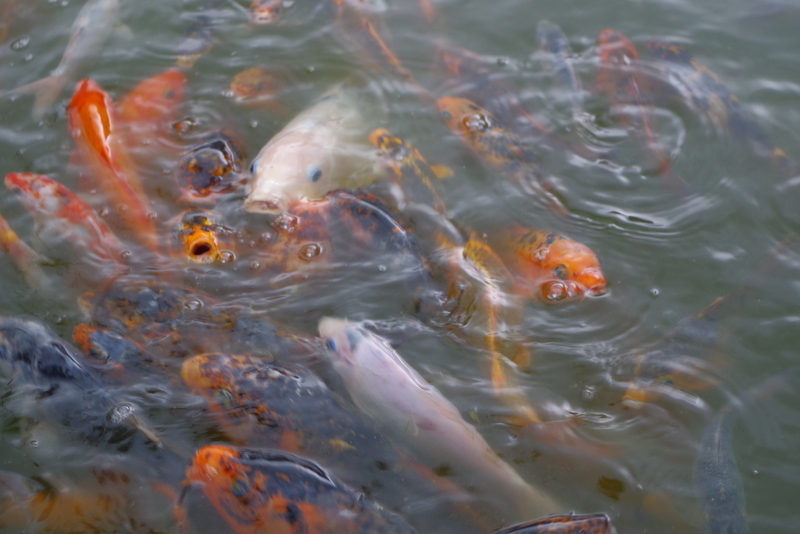 And the hotel manager let us feed the fish in the pond…all so we could snap some better pictures! Just wook at there widdle faces! A favourite facility of mine, at the hotel, was the spa (duh!) the only problem being that I think quite a few other people liked it too and they always seemed to go there just when I wanted to. Oh hey old Chinese lady can you and your 100-year old mother GET OUT of the hot-tub because I don’t really want to sit in there with you – k, thanks! However when it was empty it was lovely a relaxing. As well as the hot-tub there was a small pool sauna & steam room, fresh fluffy towels, fruit cocktails and an area for massages. Everything was free to use and it was only the treatments you had to pay for. I always say I’m going to get a massage on holiday and I think I did once? 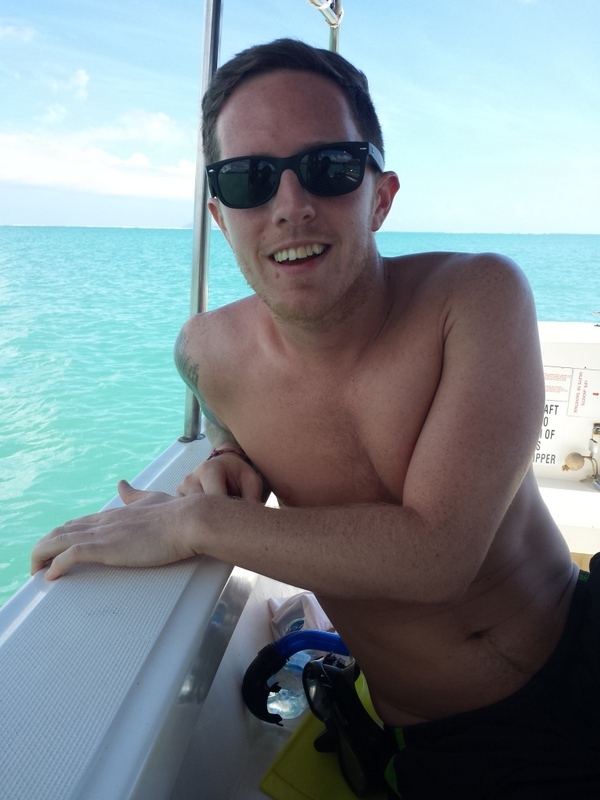 But then holidaying gets in the way and more often than not so does sunburn. I mean the last thing you want when you’re sunburnt it someone rubbing your red-raw skin. Hardly relaxing is it. So despite saying it, I don’t know, everyday…I didn’t end up getting a massage. …it’s getting depressing writing this post. Remembering how wonderfully relaxing and beautiful the hotel was as I sit at home in grey and windy London. Time to start planning another holiday I think!! 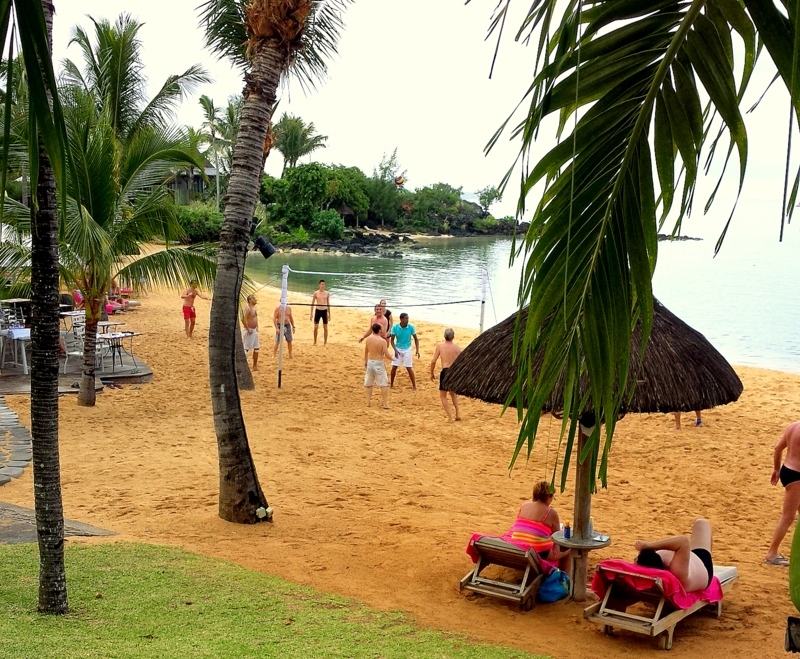 Anyway, aside from the lovely beach, the water-sports, the boat trips, the volleyball, the tennis courts, the gym, the mini-games room and the spa there were still more fantastic facilities to use at the hotel. A really cute one was the Phone Box, that allowed you to call home for 3 minutes a day. I say home, you could call any number you wanted and boast down the phone about how fan-freakin-tastic a time you were having, y’know just incase they’d missed your 10,000 instagram posts. We only used the phone on our first day so I could call home and get my parents to wish me happy birthday (obviously) – with technology and wifi calling isn’t super necessary any more but it’s always a nice thought. Can’t believe I didn’t get a shot of me doing the old ET phone home pose! Anyway, every morning on the way to breakfast we made sure we stopped in the lobby (to pick up a free coffee from the Lux* cafe) and check out the events happening at the hotel. Everything from poker nights to Zumba classes, star-gazing on the beach and my personal favourite, the cinema under the stars. 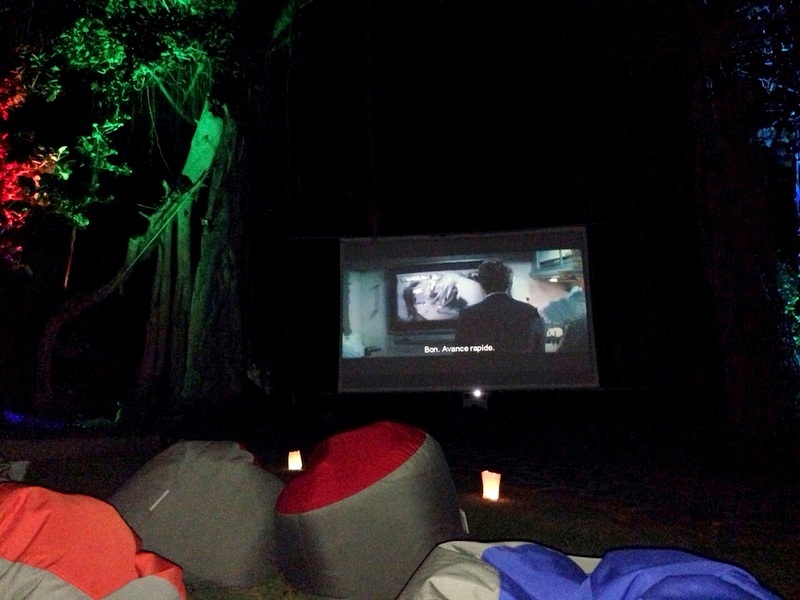 Twice a week they’d set up under the Banyan Tree and screens films on a HUGE projector under the stars. 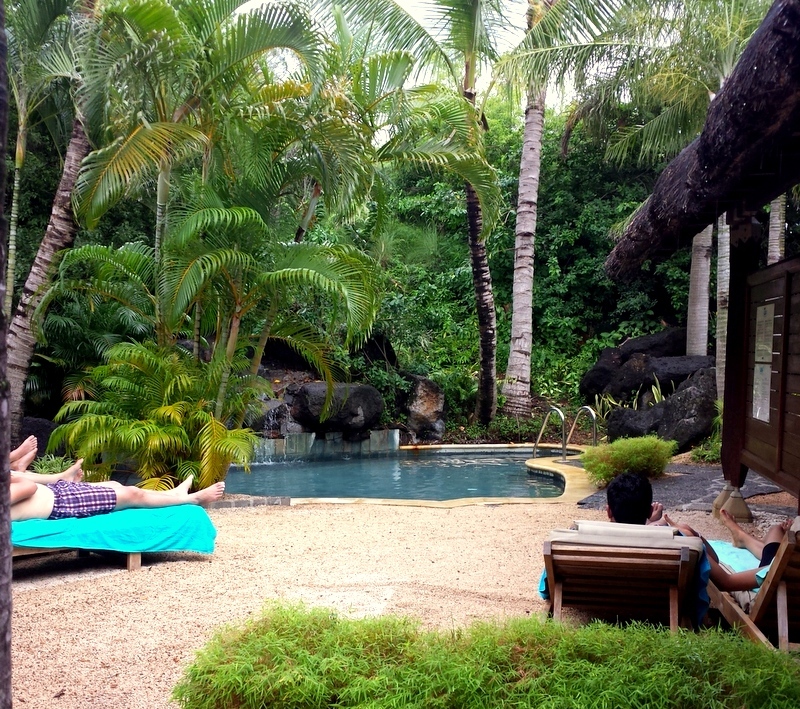 The area was dotted with candles & fairy lights and you relax on sun-loungers or on bean bags. It’s achingly cute/romantic/beautiful. It’s just a shame it was too dark to get a picture. And if that wasn’t enough there was an indoor cinema too! We watched the Capital One Cup final in here on a last night. 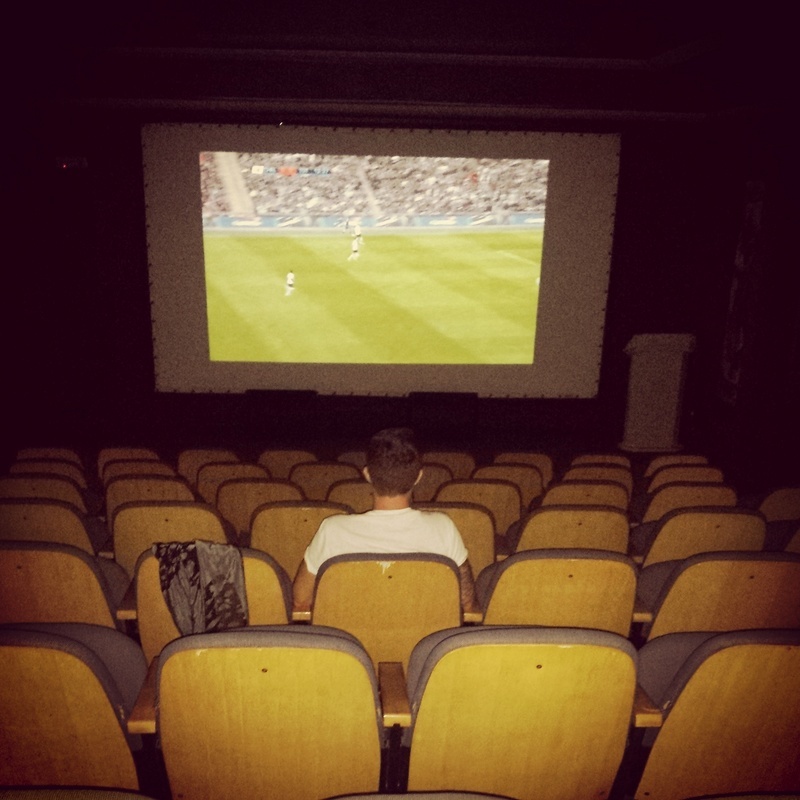 …it’s just a shame the final score wasn’t as good as the place he was watching it in! So, I think that’s it on the hotel front, there were a few other facilities that we didn’t really make the most of including the library, the salon and the bike hire service. We also never found the hidden ‘message in a bottle’ which I was gutted about (the hotel hides a message in a bottle somewhere in the hotel everyday and the guests who find it get a prize!). The Lux* Grand Gaube really is a fantastic hotel to stay in and I would recommend a Lux* without a second thought my only reservation on the Grand Gaube being the sand/sea area. If it were perfect white sands and clear blue seas it would be idyllic. This really is the only thing that lets it down. If you’re looking for a truly laid back and relaxing holiday you can’t ask for more. We booked our holiday with Thomson and it’s actually the third holiday we’ve booked with them. We’ve never intentionally gone with Thomson but have always found they do really good deals and they look after you when you’re there. I would definitely book with them again and definitely go back to a Lux* hotel again…I’m eyeing up their Maldives resort as I type! There’s only one more instalment to come on my Mauritius holiday – this one will be about the island and the day trips we went on…you’re excited already, I can tell! 18 Thoughts Everyone Had Over the 4-Day Easter Weekend. 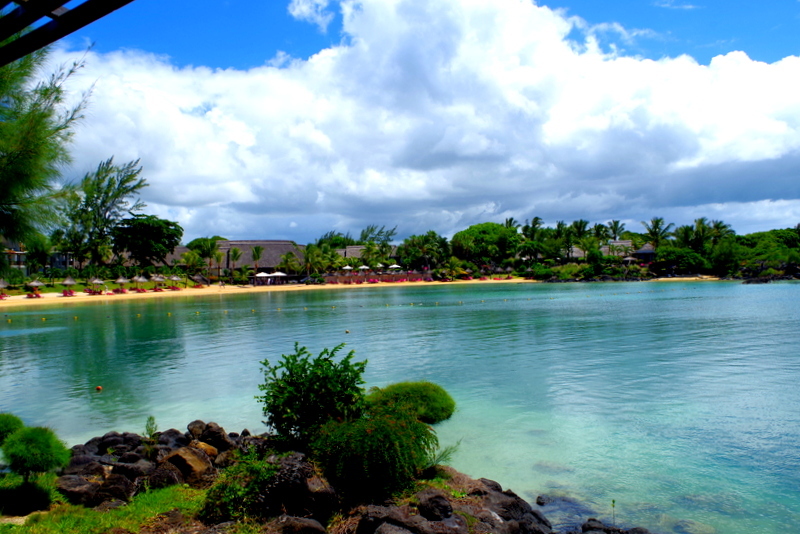 Mauritius is one of my favourite destinations. This post has given me some great ideas. I think I’m gonna try. Unfortunately I always get a holiday package deal so this makes me want to stay at the hotel and just indulge on the free food and drinks all day.